We had an interesting chat with the winner of Valentine’s Day Rummy Tournament- player with the username “prak2566”who won the 1st prize – 2 tickets for Goa which include flight tickets and stay for 2 nights and 3 days. 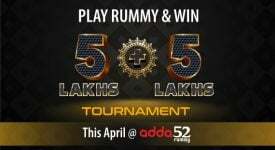 We spoke to the player about his experience with Adda52 Rummy and his future plans after this great win. Congratulations for your incredible achievement! So would you like to introduce yourself for our players? Good things come to those who wait. This is not the first participation of the player in an online rummy event. 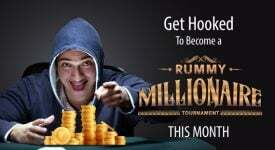 He plays rummy professionally and is playing on Adda52 Rummy from past 2 years. 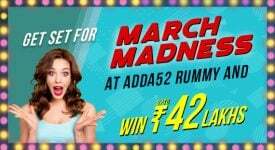 Valentine’s Day Tournament was an exclusive online rummy event hosted by Adda52 Rummy which saw record breaking entries from all over India. The battle on the game table was intense where all the participants played their best game to prove their mettle but the player managed to come out on top and took home the grand prize. 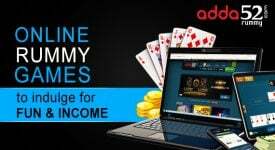 The player is all set to celebrate his winning with his dear one at Goa but also geared up to participate in the upcoming events on Adda52 Rummy. Congratulations again to the player for his brilliant victory at Valentine’s Day Tournament!